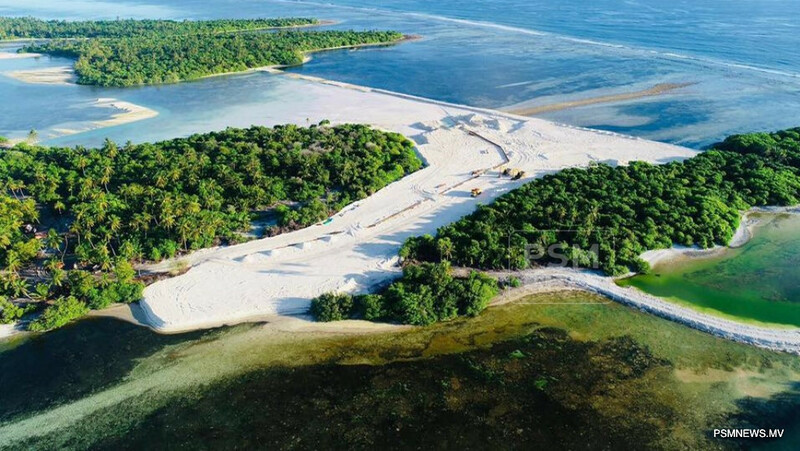 Minister of National Planning and Infrastructure Mohamed Aslam has stated the government aims to begin commercial flight operations in Faresmaathodaa in Gaafu Dhaalu Atoll by the end of the year. Speaking on a campaign gathering held by Maldivian Democratic Party (MDP), Planning Minister Aslam expressed the whole atoll is awaiting for the airport in Faresmaathodaa to come in to operation. Shedding light on the progress of the project, Minister Aslam said the government aims to conclude the project by the end of the year. He said majority of the parliament must be given to the ruling coalition to ensure such crucial projects are completed. As part of the airport development project in Faresmaathodaa, an area of 19.8 hectares of land will be reclaimed. The airport developed in Faresmaathodaa will have a 1,200 kilometre runway, an apron and a passenger terminal.